At DAZI we pride ourselves in offering our customers some of the best skinny ties money can buy. Each DAZI tie is handmade from high quality imported fabrics. QUALITY MEETS AFFORDABILITY: Looking your best shouldn't break the bank, and DAZI is here to help with high-quality skinny ties for an affordable price. SIZE: Approx. 58" Long, 2.5" Wide at the tip. 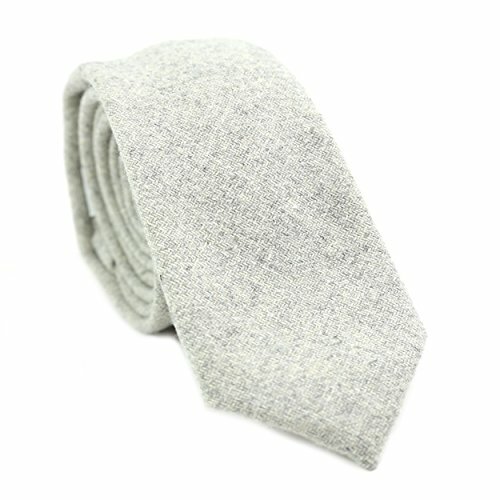 These ties will fit most adults and can be worn on men as tall as 6'10" when using a single or four-in-hand knot with the tail end of the tie shorter. MATERIAL: Handmade 100% wool from high-quality imported fabrics. These ties have quality that you can feel. You will not be disappointed by the fabrics we use on all of our ties. OCCASION: Perfect for Weddings, Dances, Missionaries. CARE: Dry clean only. If cared for properly, our handmade ties can last a long time. Never place ties in washer or dryer as this will ruin the fabric and damage the sewing of the tie. If you have any questions about this product by DAZI, contact us by completing and submitting the form below. If you are looking for a specif part number, please include it with your message.